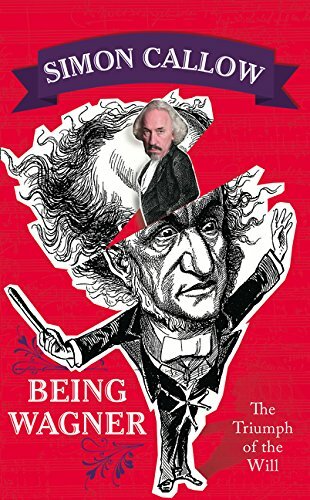 Have just finished the Simon Callow book on possibly the most obnoxious composer ever to have lived. Let me first say that Callow is a delight: full of humour and a precise scholarship that is almost belied by his breezily economical style of writing: this man is many-gifted, and he certainly writes brilliantly about Wagner (I also greatly enjoyed his much earlier work, Being An Actor). Callow is just a fabulous person. No wonder he has to beat them -- men and women alike -- off with a stick. A few months later, Cosima [daughter of Franz Liszt] and Wagner married. She was thirty-three, he was fifty-nine. As he had said five years earlier: there was no question about it, she belonged to him. They made an odd couple to look at: she was Amazonianly tall, with severe, beaky features; he was uncommonly short, with a somewhat simian lope. But it was a perfect match. They were of one mind: his. As a matter of fact, I think this description is sparing of Cosima: it would be hard to find in the whole of history a more manly-looking woman, and indeed she could have cross-dressed whenever she liked, young or old, and fooled everybody. Callow has written a wonderful book. Anyone, even without much musical knowledge, can enjoy and learn from it. But I wonder if the author is being wholly honest in saying at the start that he is not a musician. It may be so. But someone as attuned to all the arts as he may well sing his own songs in the shower. NB: The 2018 paperback edition goes by another subtitle: 'The Story Of The Most Provocative Composer Who Ever Lived'. *This was my opinion upon finishing the book. Then, after a casual Internet search, I found this interesting article.